So, generally I take pictures of my projects at home after work when there’s decent light, then blog about them the next day during a work break. This means the blog is generally a day behind my projects unless it’s the weekend. This is a Beezee hat I decided to start out of a loop bump I spun ages ago. 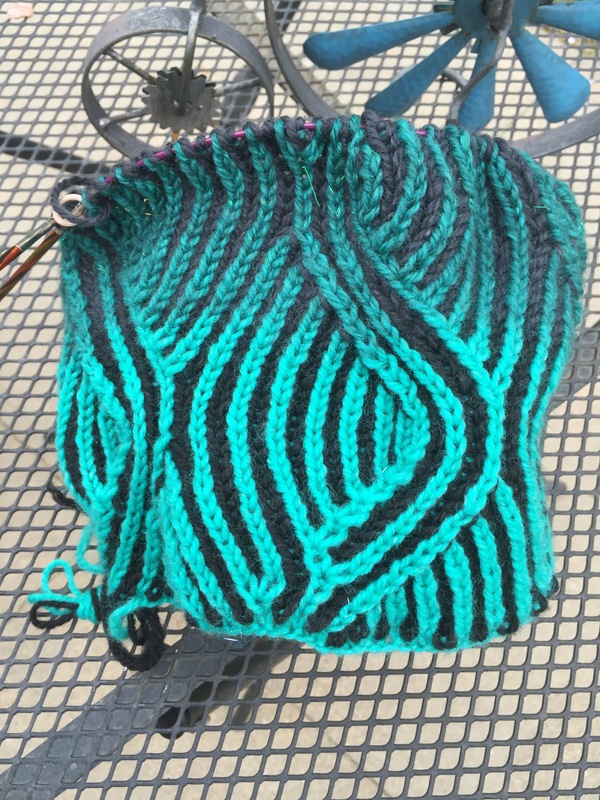 I enjoy a good brioche stitch project, and it had been awhile. I was worried that the pattern would be complicated with the stitches shifting like they do, but once the set up is complete, it’s a pretty easy and comfortable pattern. Last night, after I took this picture, I continued to knit on the hat while watching a movie with Mr. Ink. That’s an amazing 2 days in a row we have chosen to watch a movie in the evening, certainly a record for us. Then, this morning I woke Miss Bug up, and she said she didn’t feel well. I was actually waiting for it, as she’d not looked well for 2 days. So, upon taking her temp, we discovered she had a fever, and I am at home with decent lighting. So I got to take an additional picture of my progress. 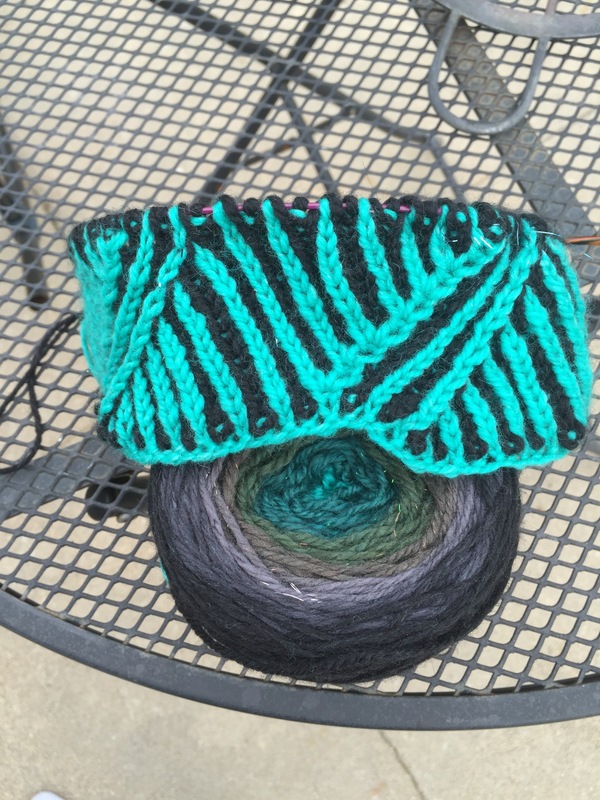 My beezee hat has been knit until the point where I need to start the crown shaping. Already. I am feeling a little annoyed because I worked extra hard last night to get all the laundry done before the weekend. I figured it might be nice to start the weekend off without that project hanging over my head. And as it turns out, I could have worked on that during the day today. So, instead, as soon as Miss Bug heads to her dad’s, I plan to mow, and then use the new power tool Mr. Ink bought me. 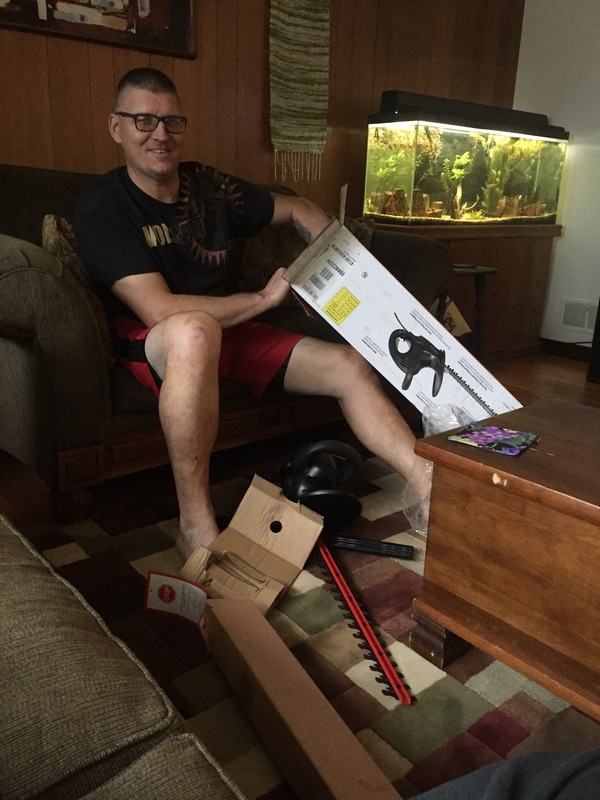 A hedge trimmer, because I want to do a major trimming of the burning bush in my veggie garden. It’s begun to take over, and I am not that pleased about it. I hope everyone has a wonderful weekend out there in real life!